Brand Promotion in colleges is becoming popular among advertisers. It can be challenging to gather attention of the 18 to 24 year old market. College students are occupied with restricted time, attention and cash crunch. Effective campus advertising campaign suit the necessities of a tech-savvy individuals, on the go demographic that effectively blocks out the huge number of advertisements which is exposed to each day. When you are planning for a brand promotion in colleges / branding in college campus, get ready to engage, attract, surprise and entertain college audiences. You can opt for posters, banners and advertisements in student newspapers. Organise an innovative and interactive campaign situated in a well-known college like student services building, a campus square, outside library. Theatrical play and flash mob will draw a group and build excitement for your message. Add free samples and you`ll draw a good attention with the entertaining atmosphere that permits you to connect with students and impart your message to a casual and happy group. Advertisers need to realize that to achieve their objective, they should know it from back to front i.e how to craft effective message with this group of individuals & keeping in mind only this group of individuals as their top of the priority. College students react well to promoting messages from their own associate peer group, this is the reason student ambassadors are developing in numbers in campus. Student’s ambassadors creates a buzz on campus by connecting with other student’s w.r.t an organization`s products and services. This approach works admirably, as college students feel more comfortable and interesting while hearing a promotion from their own peer who talks in their language than an organization official who doesn`t exactly have a place with the tribe. Digital OOH Screens Extend your computerized video promoting reach through a broad system of OOH screens in College book shops, Common areas and recreation centres on many grounds across the campus. Campus Posters, flyers and table tents can be set in high-movement regions around campus. Campus event is good option for promotional campaigns, banners, product launch where target audience is in the mood of entertainment. Traditional Campus OOH-Outdoor advertising in campus offers you the opportunity to be in high-movement zones to achieve high visibility throughout the entire semester. College camps advertising helps to reach maximum potential customers. Reaching college students can be extremely profitable for many businesses and brands. College students typically represent a large portion of early adopters; a group that will help spread your message to others via word-of-mouth marketing. In college campus advertising, another way to cut through the clutter is to target specific groups and clubs on campus. If advertiser tailor their approach and focus their efforts on a compilation of individual groups and clubs, advertiser will have a much better shot of getting the attention of students. Though classes and campus activities take a lot of a college student`s time, a majority of their time, during the week is actually spent off campus at coffee shops, clubs and restaurants. Partner with these companies to grab student`s attention but be sure to utilize your time by exposing them to your product or service. In college campus advertising, finding college students is the easy part, the hard part is getting them to pay attention and to care about what advertiser have to offer. For advertisers, few tactics will help you target college students in a way that will grab their attention and get them to care what you have to offer. Every college has its group of influencers. You know, the people that can bless a business and instantly make it cool on campus. Advertisers need to find these people and work with them specifically around marketing your product on their campus. Advertiser should ask for their ideas, give them a marketing budget and work with them to execute the marketing strategy. Having the key influencers involved will drastically improve your marketing results. If you are trying to promote a services or product that is not much relevant or interesting to college students, no amount of heavy marketing tactics will help you win them over. If you have something you think college students will find interesting, then be sure to craft your messaging to articulate effectively. Running contest to promote your brand, makes your brand stand out of the crowd. For example, after providing referral code to each student. Students who get ten people to sign up for advertiser`s website, advertiser will give them a free pizza a month for a year. Everyone wants to feel special, so limit your offerings to a certain number of individuals, or a certain college campus. Due to the exclusivity, the people you target will be much more likely to talk about your brand or product, extending the life of your marketing efforts. College marketing is gearing up across the world for brand positioning. This group of consumers still hasn’t formed unbreakable brand loyalties. This means that if a business can connect with them, that business has a chance at continuing to connect with this group of people as they graduate, start careers, begin families of their own, and progress toward retirement. Word-of-mouth is huge on college campuses. If you can somehow infiltrate a small group of students who are influential with other groups on campus, you’ll succeed. Consider approaching student fraternities and offer them free products in exchange for promotions. The worst part about the college demographic is that they’re limited on funds. For effective college marketing, if you can find a way to offer a product that fits within a limited budget, you’ll be a hero to the college crowd. Sites like YouTube is a staple of student entertainment, since cable TV can be expensive. Business should take advantage of that interest by creating short-film videos that can pull students in. Videos are an effective way of communicating to college students - informative, fun and entertaining. 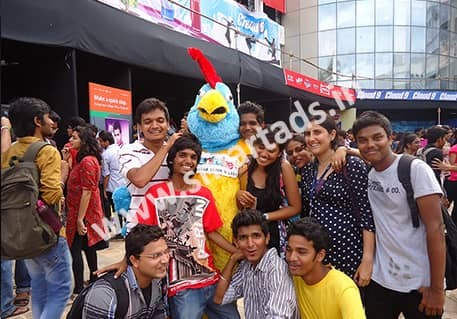 Brand activation in colleges is getting popular among top companies. Companies need to be recognized and perceived in a positive frame by the college student and alumni community. Companies can purchase banner positions on the placement portals of colleges. This serves as a unique way to place the company in front of the students who are in the process of shaping their careers and are looking for vacancy in reputed companies. Colleges holds conferences and workshops on a regular basis across India. These conferences are subjects towards improving the student employability, addressing their career needs, and many others. Companies can sponsor these conferences / workshops to realize direct benefits with the community. Creating a positive perception is considered as the first step in building relationships. 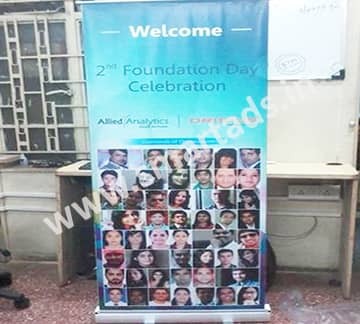 Brand activation in colleges allows companies a platform along with various tools and methods to reach out and seed the company, its identity, its vision, its mission, its strategy, its products / services, its attractiveness in the minds of this young and vibrant community group. Brand Promotion in Colleges in Mumbai. Brand Promotion in Colleges in Delhi. Brand Promotion in Colleges in Kolkata. Brand Promotion in Colleges in Bangalore. Brand Promotion in Colleges in Ahemdabad. Brand Promotion in Colleges in Surat. Brand Promotion in Colleges in Pune. College Campus Advertising in Mumbai. College Campus Advertising in Delhi. College Campus Advertising in Kolkata. College Campus Advertising in Bangalore. College Campus Advertising in Ahemdabad. College Campus Advertising in Surat. College Campus Advertising in Pune.